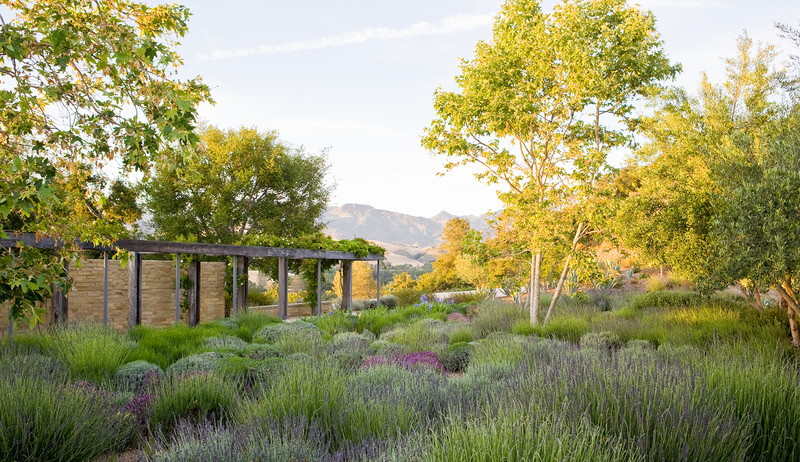 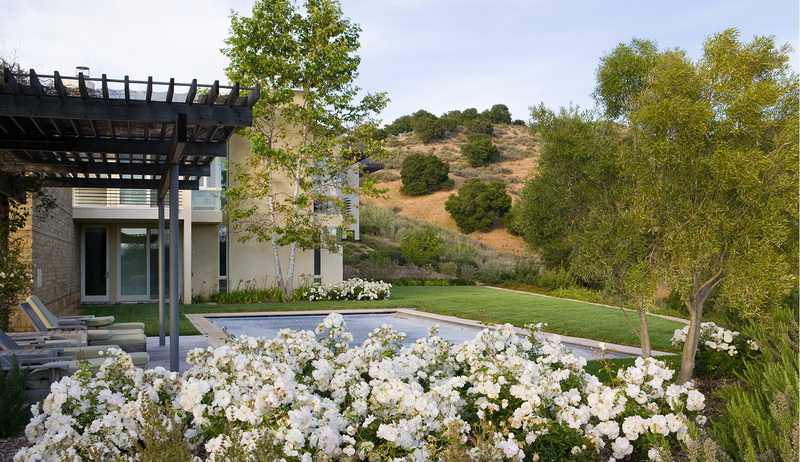 A few years after completion of a new home in Santa Ynez, PB&Co was asked to revitalize the estate’s landscape and unify a variety of programmed and unprogrammed spaces. 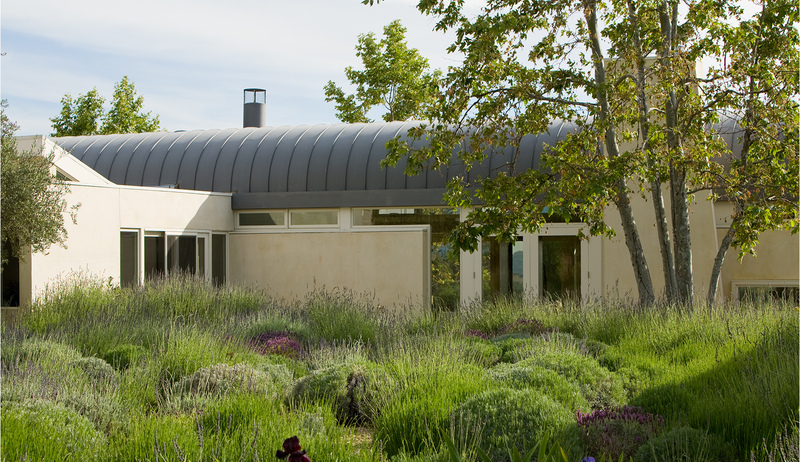 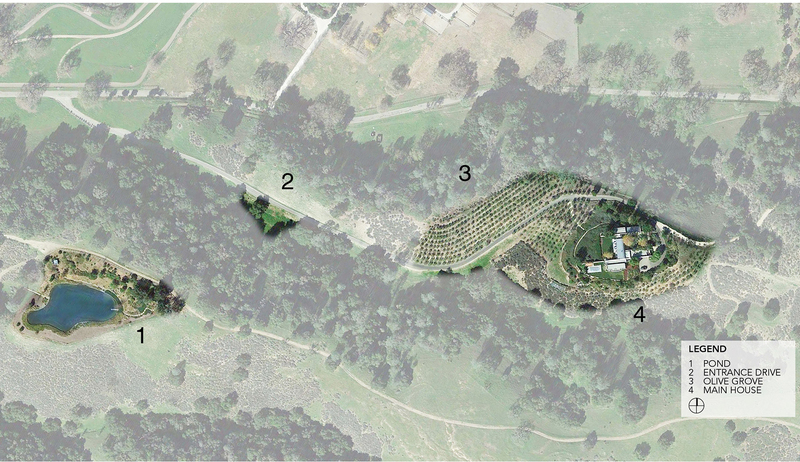 Conceptually the design creates an arboreal mass of 250 olive trees surrounding the house that interfaces with the native landscape to minimize grading and filter run off. 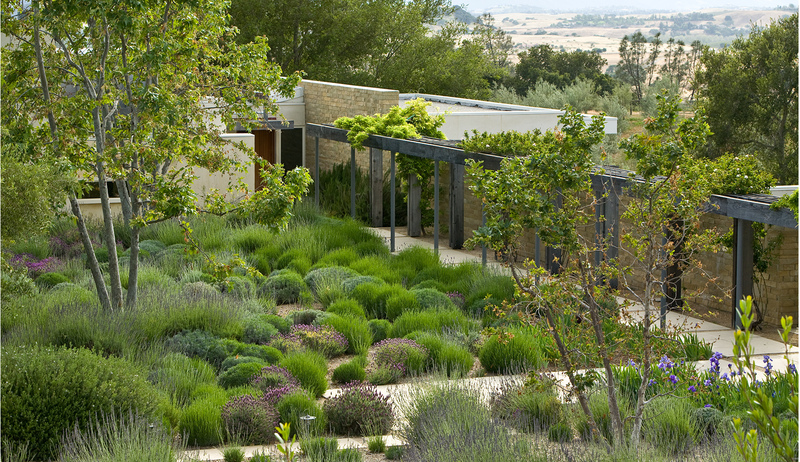 When the firm began the project, the front lawn had become an irregular patch of green. 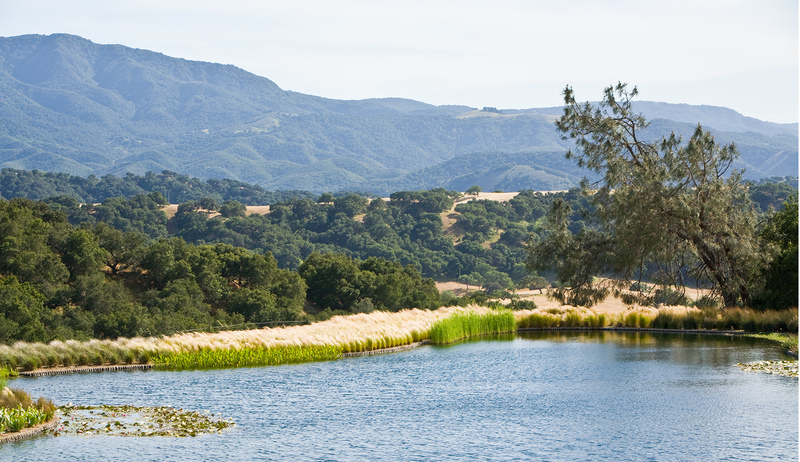 Because of its water consumption, it was eliminated. 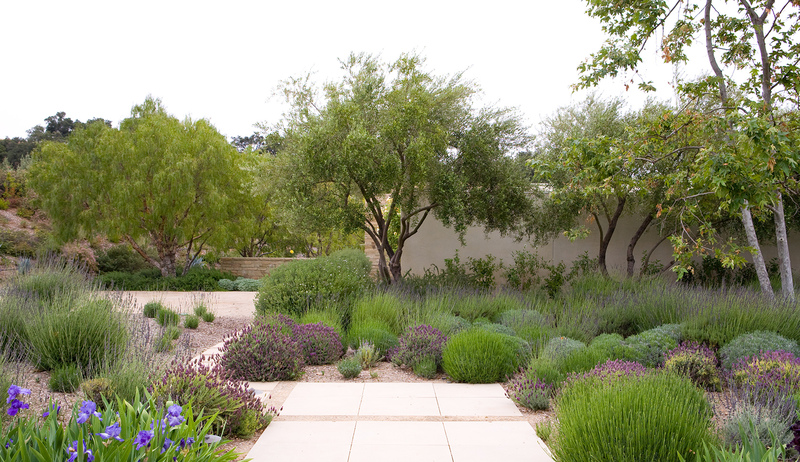 Mass plantings were instead grouped at the entryway, including three types of lavender and Teucrium, a medium-sized evergreen flowering shrub. 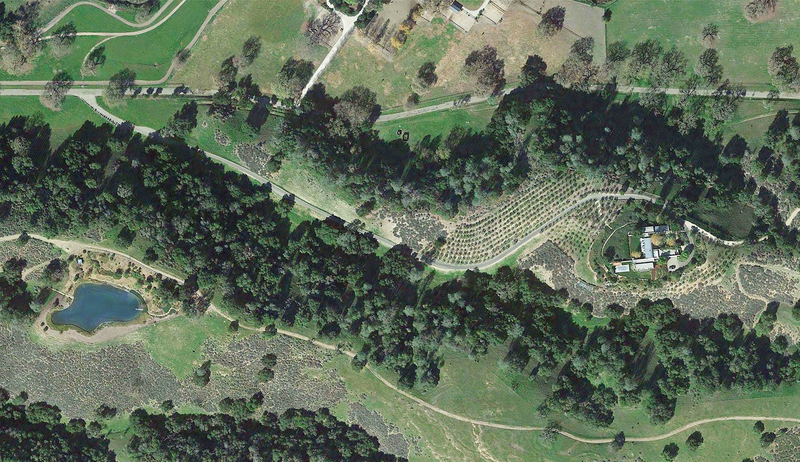 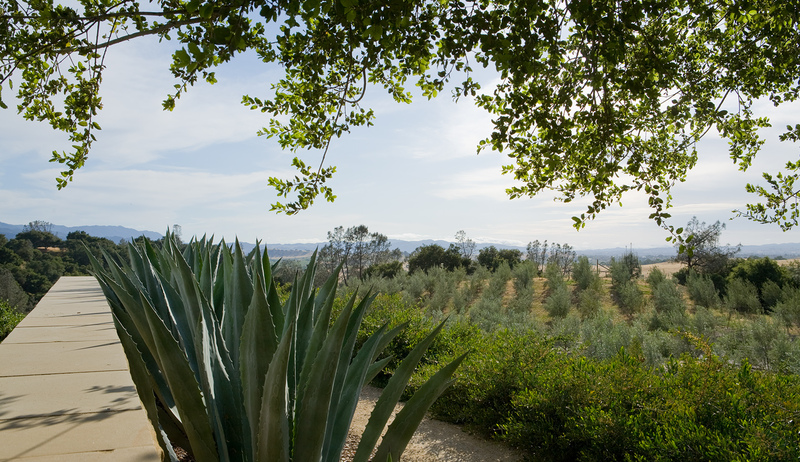 Throughout the site, similar types of plants were grouped together to give an even-handed consistency to the landscape. 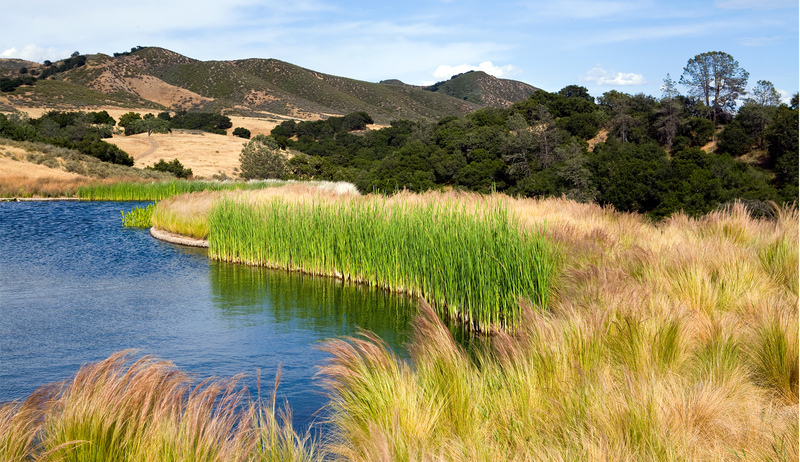 Additionally, an acre-and-a-half pond was created within the natural folds of the native landscape to minimize grading, and filter run off via self-sustaining aquatic plants. 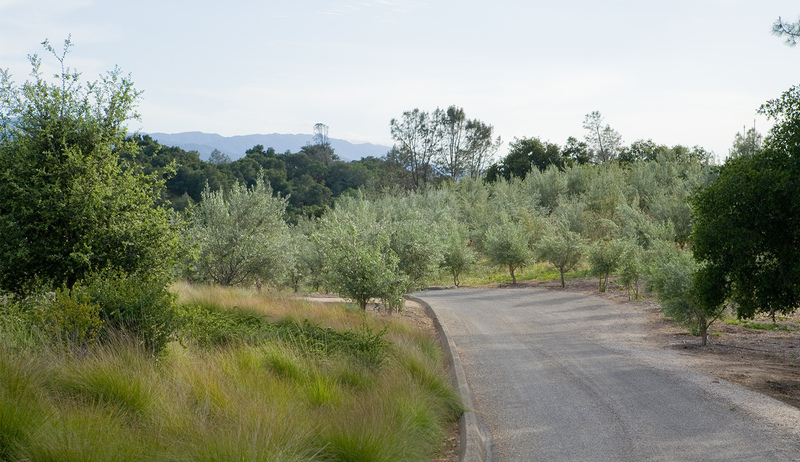 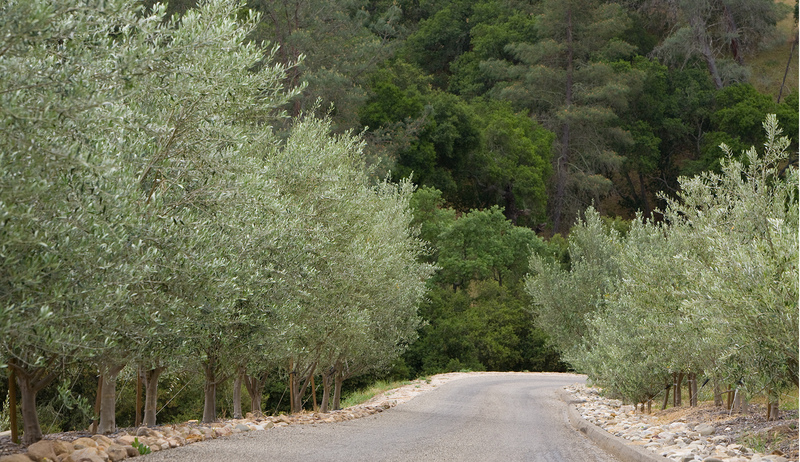 Surrounding acreage is planted in Mediterranean materials that can survive the area’s heat, cold, and wind.